Take 3 leftover cake/pastry slices (without cream/frosting) and crumble them to make a coarse mixture. Now add 1 tbs butter to it and mix with your hands so as to form a dough. Divide the dough into 6 equal parts and form firm round balls. Now melt the chocolate in a bowl by microwaving for 30 seconds to 1 minute (see that it just melts and doesn't burn). Dip the balls in this molten chocolate one by one and carefully transfer them to a butter paper. Let it stand for 15-20 minutes outside to set or refrigerate for 10 minutes. When done and set, plate them and serve. Since I did not have enough Dairy Milk and Milky Bar, so I planned to use Kit Kat. Melt Kit Kat in a microwave for 30 seconds-1 minute. Break the wafers to small pieces using a spoon (do this when the chocolate is hot). When it's done, let it cool for a minute. Now add the cake crumbles from the remaining 3 slices to it and mix well. Form a dough and then shape balls just like how you did for the truffles. You need not coat them with any chocolate now, as they already have the crunchy, wafery chocolate in them. Embellish with leftover molten chocolate by making pearls or so. Refrigerate for 10 minutes and serve. Butter can be replaced by fresh cream/whipping cream as well. If you have the cake frosting/cream, then you can use it instead of butter. Just crumble the whole pastry with the cream frosting (do not use too much cream here; just that much which is required to bind the balls) and prepare the dough. You can also decorate the balls and crunchies with coned chocolate (i.e. molten chocolate filled in a cone). If the cake mixture is not binding up and falling apart, add in a little more butter/cream and reform. While coating with chocolates, use a spoon or fork to ease out the process. If the balls are breaking while coating, they need to be refrigerated and set first, and then coated. Instead of microwaving, you can also melt the chocolates by double-boiling. These is really a wonderful treat. Looks so inviting & I can't seem to resist! HEAVENLY! 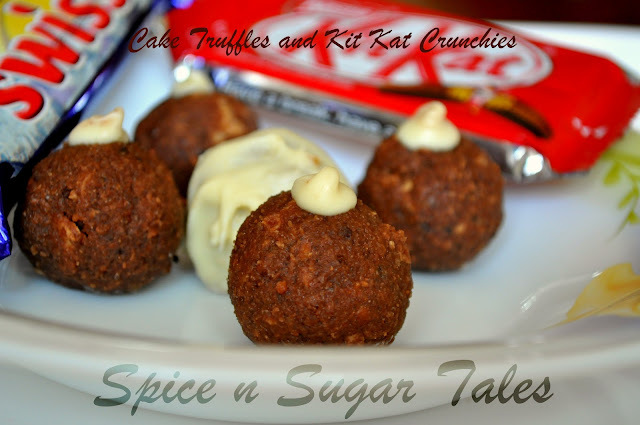 Such yummy truffles and so easy to prepare, awesome..
Looks so inviting and cute. Thx for linking to the event. Yummy looking cake pops. Looks super cute and tempting. So unique and interesting truffles !! looks YUM !! Thanks for linking to the event !! Lovely idea of adding the crunchy wafers. Nice ones Anjali. 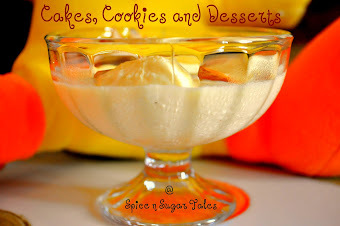 Hi...these are perfect for my kids :) will surely make them...!!! Chef Al dente: ongoing event Gimme GREEN! 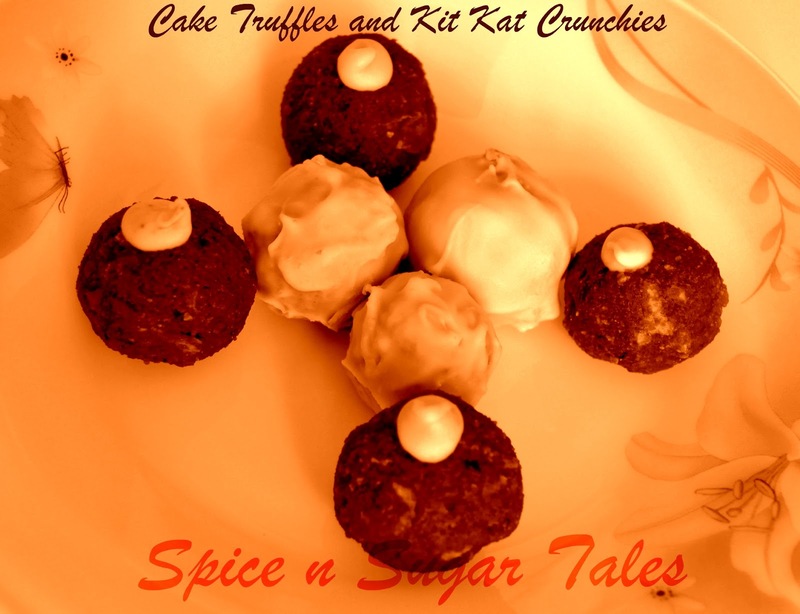 i lovd ur writeup on simplicity...so true....gorgeous truffles....great way to finish off leftover cakes....! My First Event - "COLOURFUL HOLI". Simply amazing!!! so simple and rich! 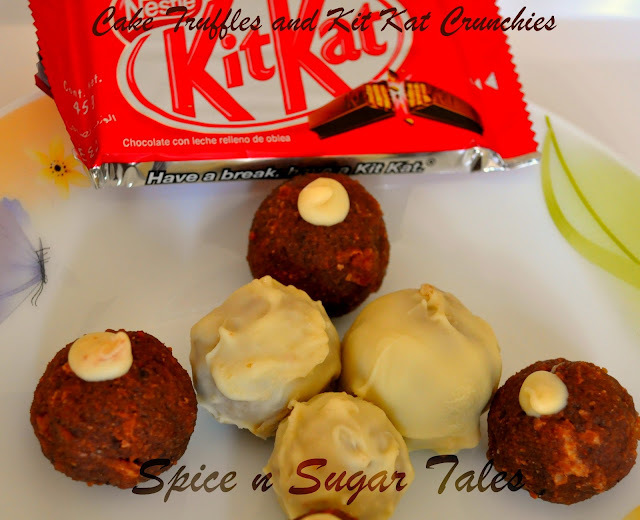 yummy!.......i do this pretty often....but i use jam to bind and some rum to add the extra kick(heh heh)...i love your idea of using the kit kat bar..absolutely superb! Hai Anjali..lovely truffles, and soo easy..defnitely gonna try..do pop in my space as well when oyu get the time.